We like to have fun! This page is for sharing fun things we think might make you smile. Get in touch if you have a fun idea you'd like to see on here! ​Thanks to the lovely Wendy at I Heart Guts for being our friend and allowing us to share this fun plush cuddly thyroid toy! 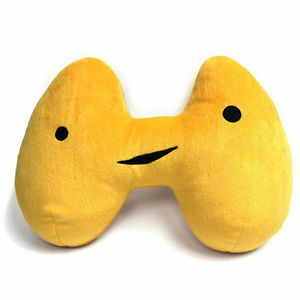 It is lovely and soft and makes us smile, a perfect gift for anyone with thyroid issues. NB: This is not a commercial partnership, just a fun offer from the company they have authorised us to share.